A handgun is a firearm designed to be held in the hand when used. 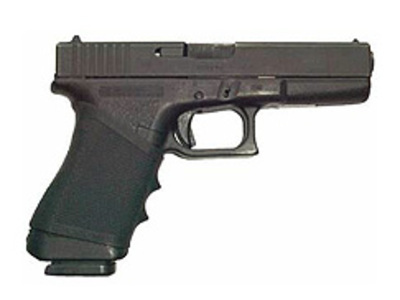 This characteristic differentiates handguns as a general class of firearms from their larger cousins: long guns such as rifles and shotguns, mounted weapons such as machine guns and autocannons, and larger weapons such as artillery. 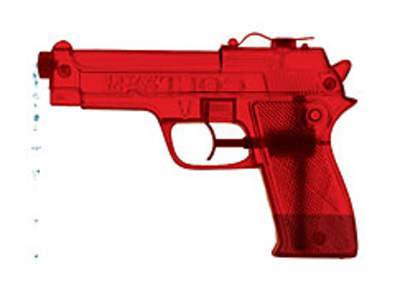 A water gun (or water pistol or squirt gun) is a type of toy designed to shoot water. It works on the same principle as a spray bottle. The body of the toy is essentially a container for water, and the "trigger" is attached to a pump which squirts water out of a tiny hole at the "muzzle."